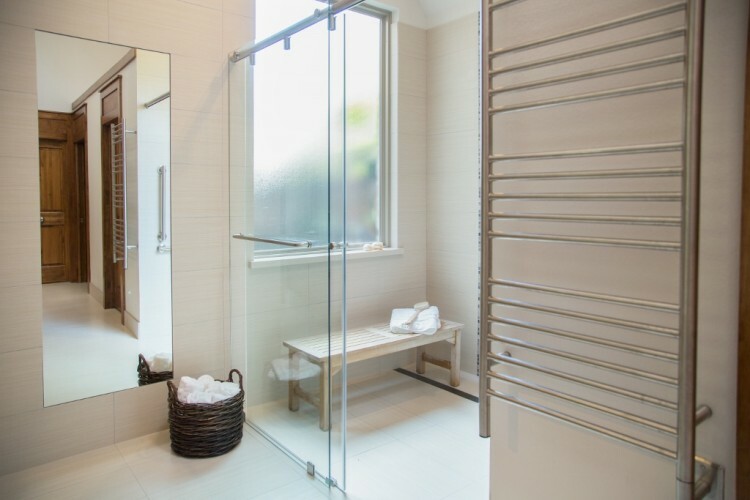 With its slippery surfaces, the bathroom can be a particularly hazardous area of the home. In 2011, the Centers for Disease Control and Prevention reported that over 80% of injuries that happened in the bathroom were a result of falls. High rates of injuries were related to use of the tub, shower, and the toilet. 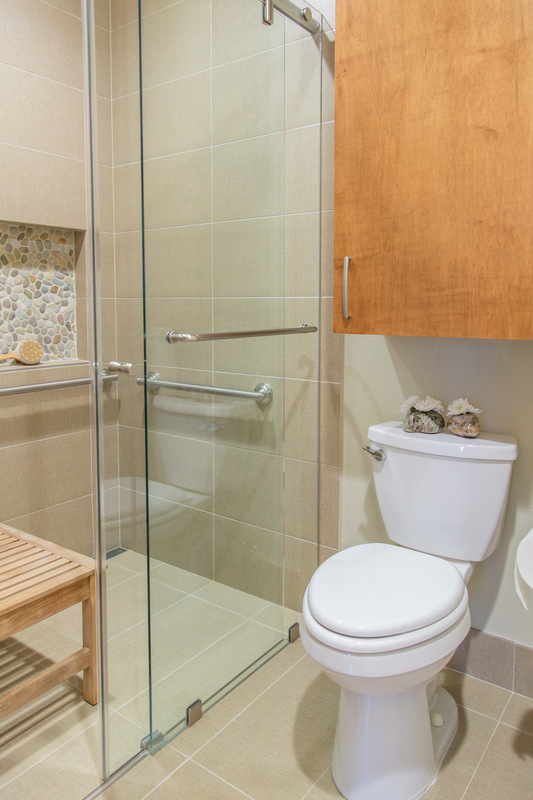 Scroll down to learn more about common problem areas in the bathroom and solutions to address them. Comfort height toilet. Design by Carla Aston, photograph by Tori Aston. 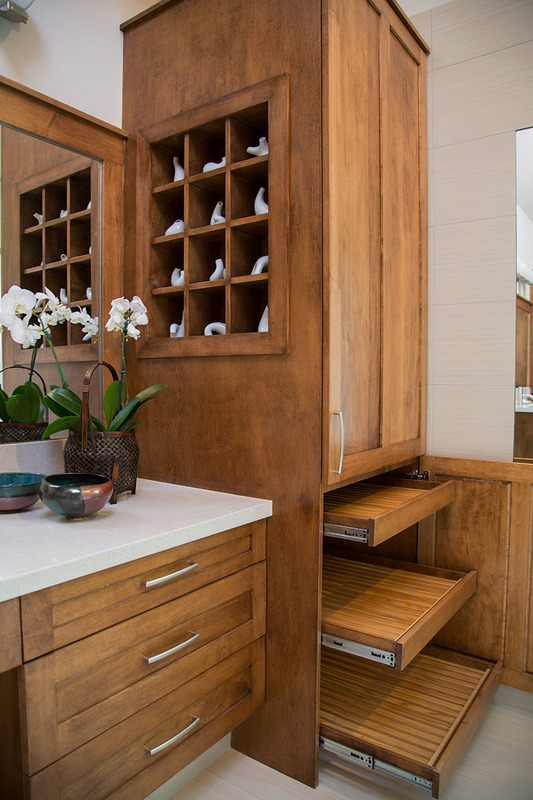 Pull-out shelving makes it easier to reach items. Design by Carla Aston, photograph by Tori Aston. 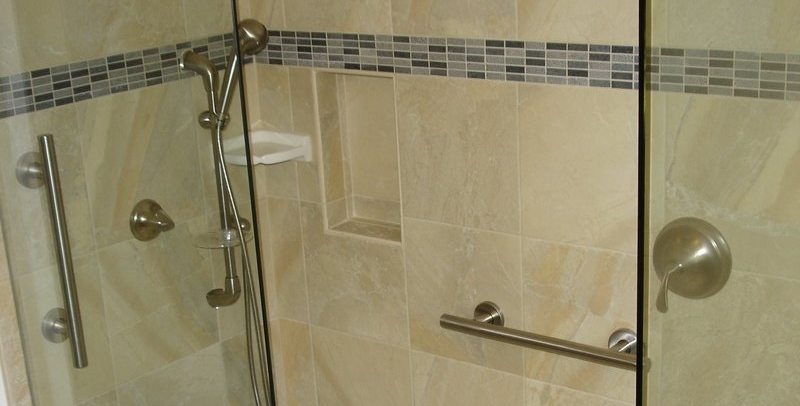 Add anti-skid strips on tub/shower floor. 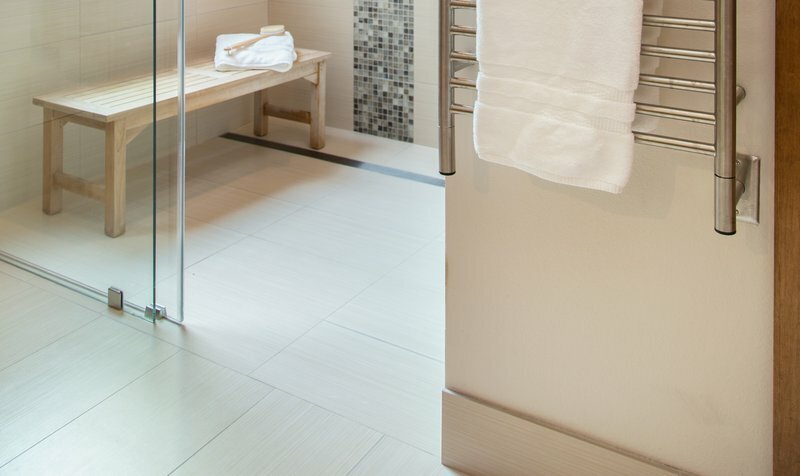 A textured floor of tumbled natural stone makes it a more slip resistant. 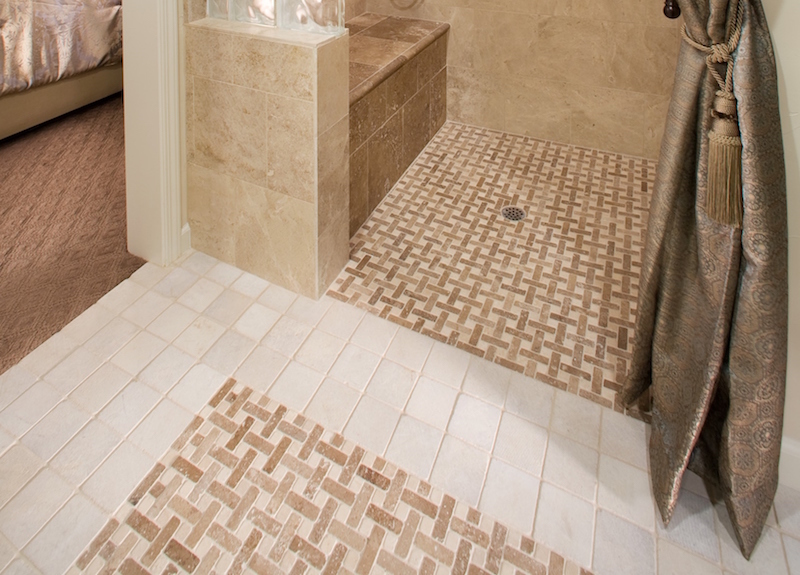 Additionally, the small tile size requires more grout, which also adds slip resistance. ©Livable Design by Eskaton. 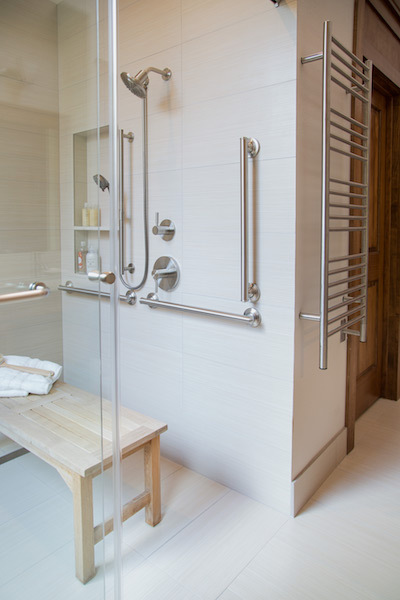 Grab bars provide support in the shower, and come in different styles to match your décor. Design by Carla Aston, photograph by Tori Aston. Install or plug in nightlights so you can safely use the bathroom at night. 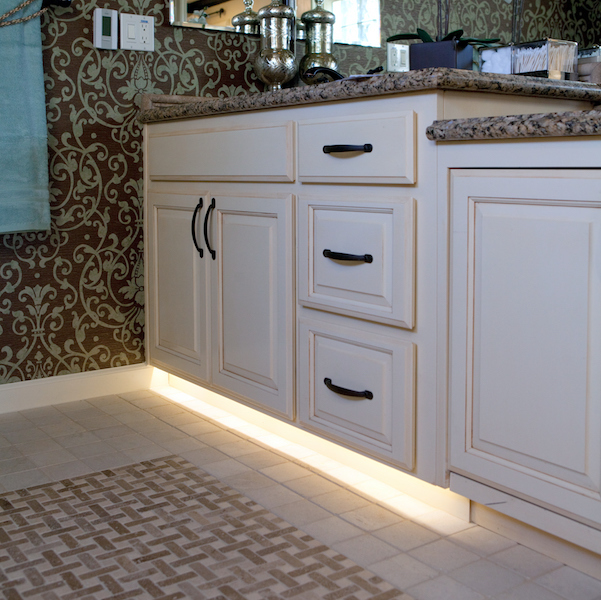 A built-in nightlight under the bathroom cabinet lights the way when using the bathroom at night. ©Livable Design by Eskaton.